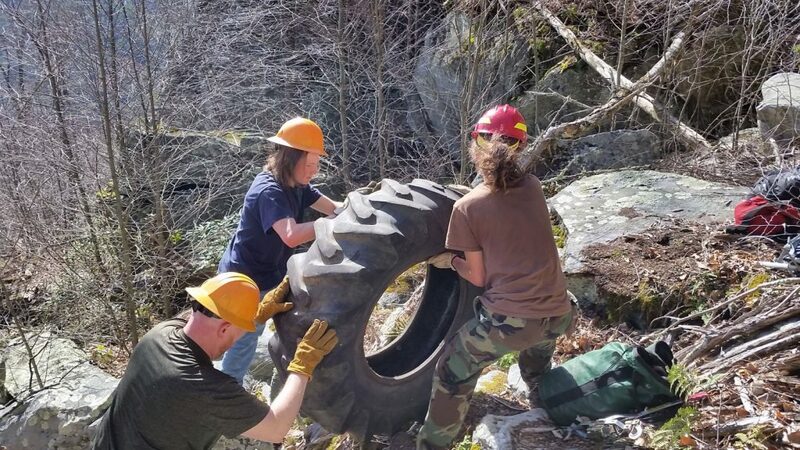 This winter Wild South helped the Linville Gorge Wilderness community clean up trash below Wiseman’s View. 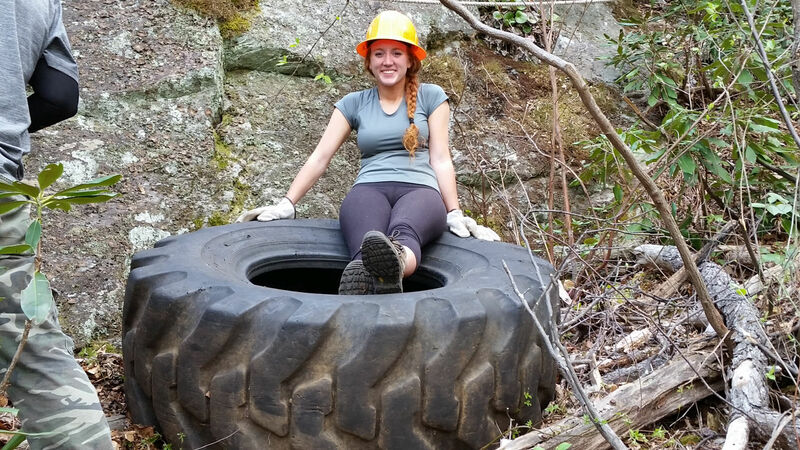 All was going well until someone found four 350-lb tires thrown off the overlook by hooligans. 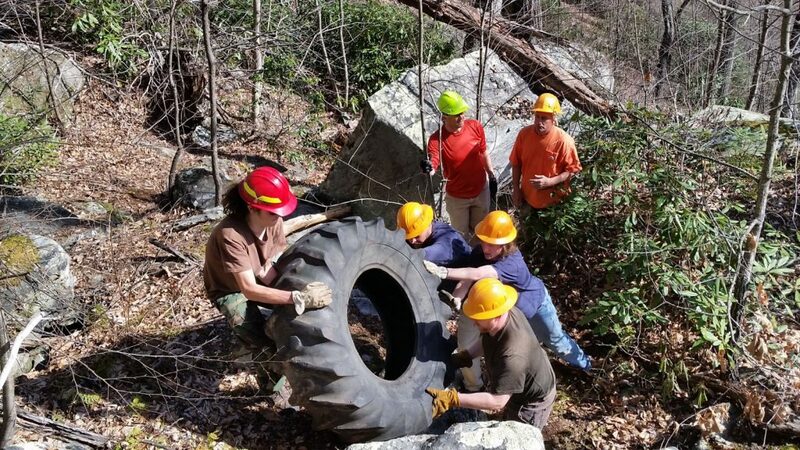 Volunteers accepted the challenge and have already begun moving the tires hundreds of feet up the rocky slope. 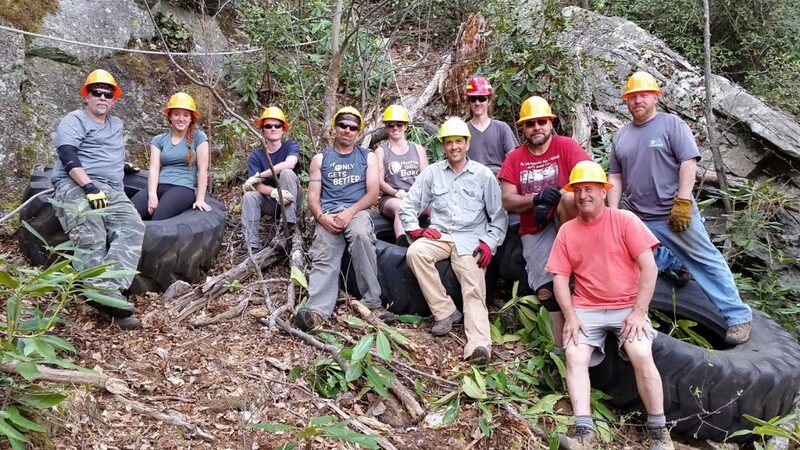 On April 4th volunteers met at Wiseman’s View to plot a path. 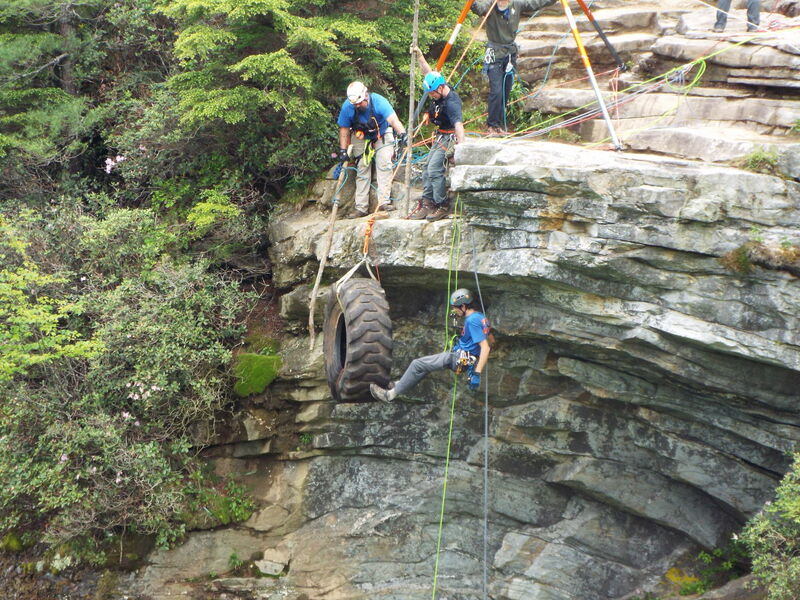 If the tires could just be brought to the base of the cliff, a cable could be lowered to pull them up. We’re going to need a bigger rope! 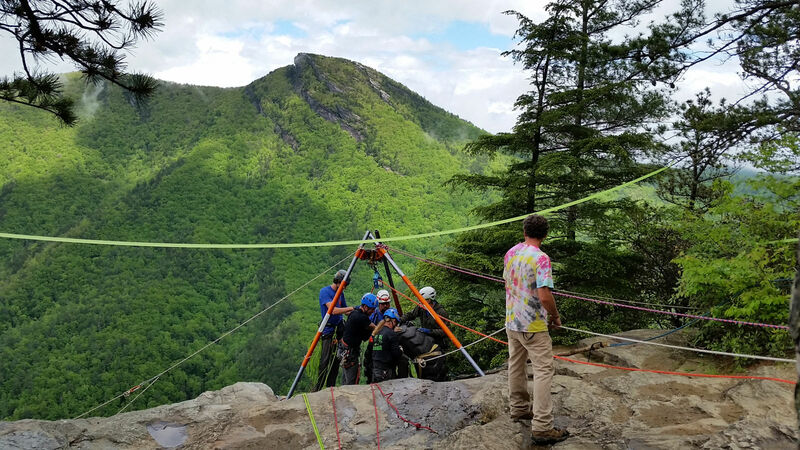 Derick uses a laser rangefinder to measure distance to the tires hundreds of feet below. 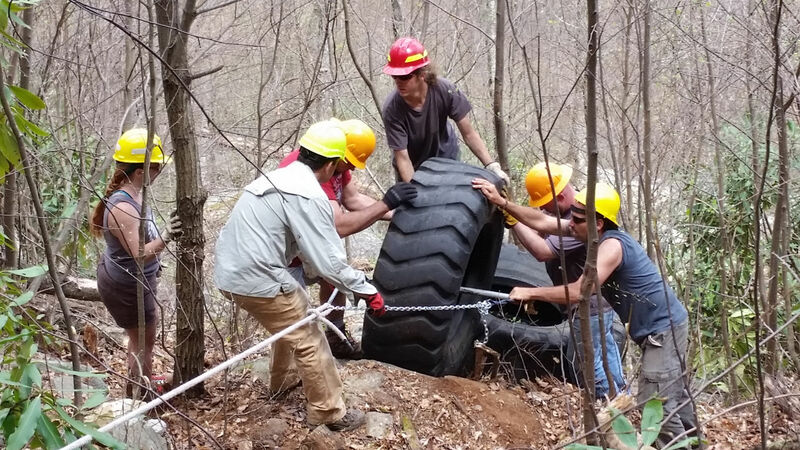 On April 9th volunteers started collecting the tires scattered among huge boulders. 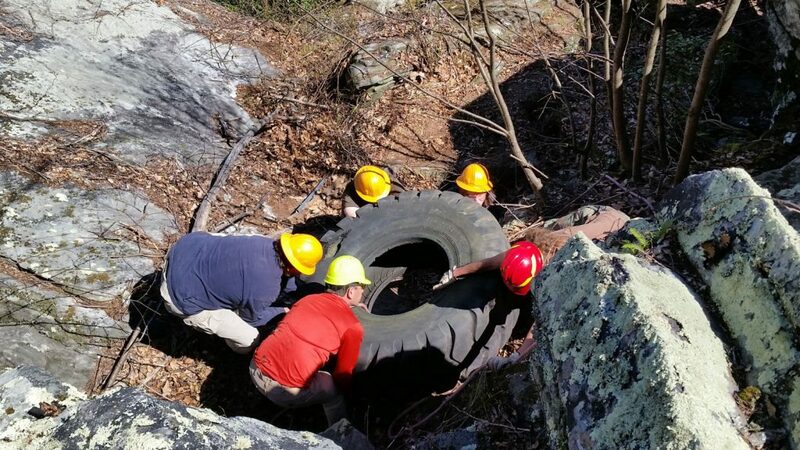 If all the tires were in one place, a single system could be rigged to move them to the cliff base. 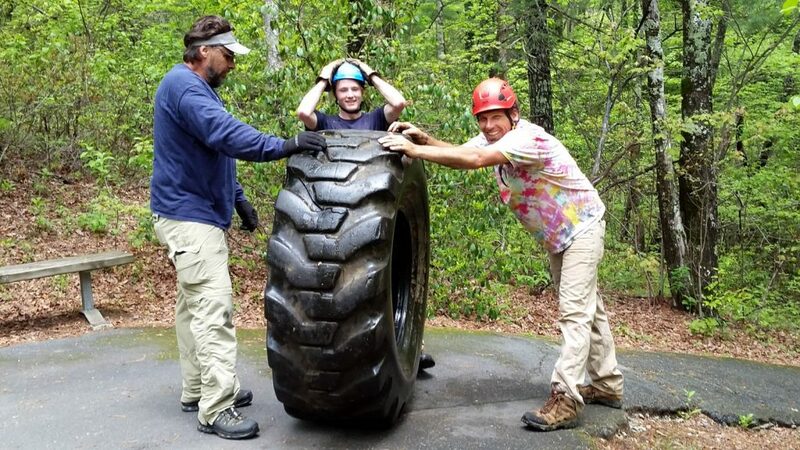 It takes a village to raise a 350-lb tire! 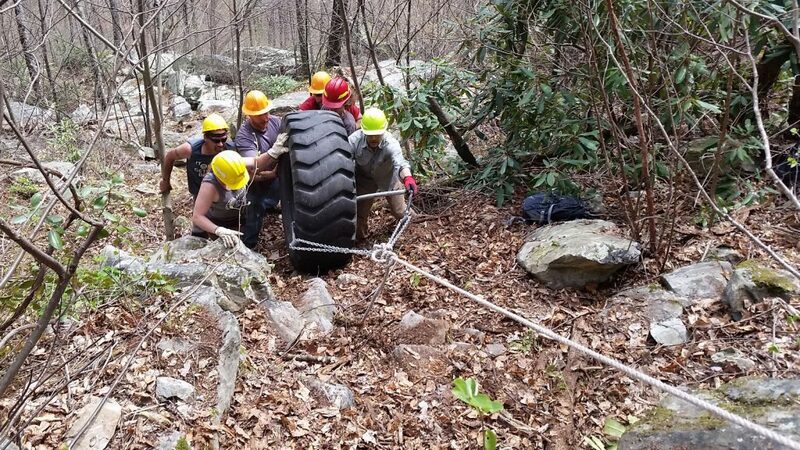 Community volunteers gathered four huge tires from the challenging boulder field below the otherwise beautiful Wiseman’s View yesterday in Linville Gorge Wilderness. Vandals throw all kinds of trash off the overlook, while others appreciate what they have in these great public lands. 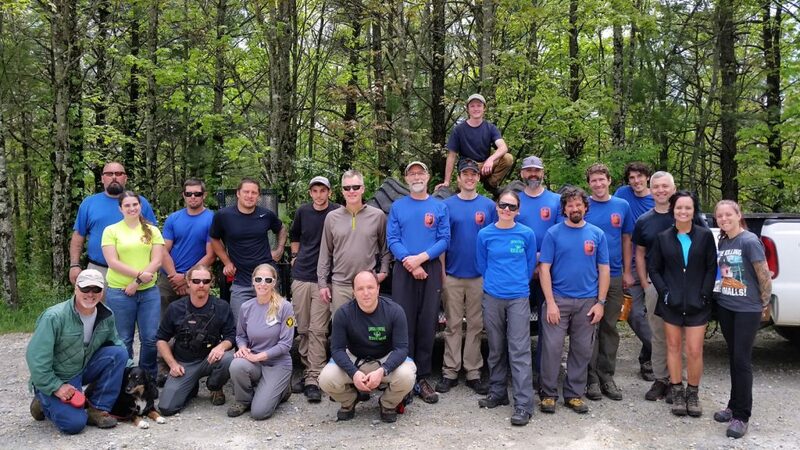 Thanks to these amazing folks for their dedication and service! 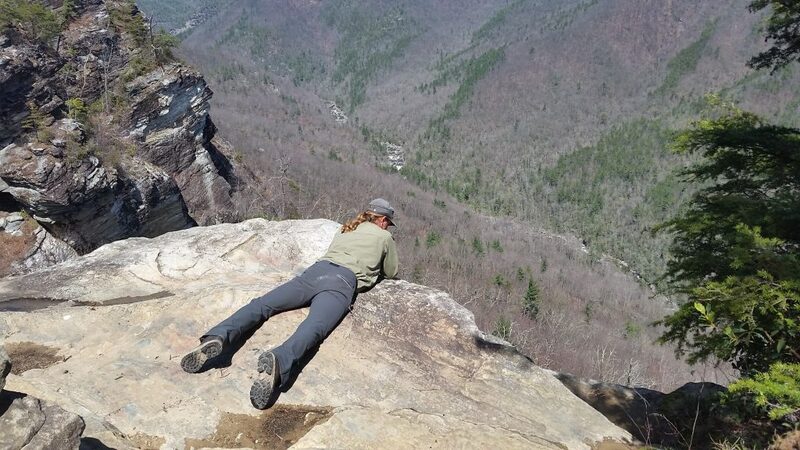 Step 3 – To the Cliffs! On April 16th the tires were moved 150 feet up slope to the cliff base. Remember that this is wilderness area, where motors are prohibited in order to preserve the wild character of the place. 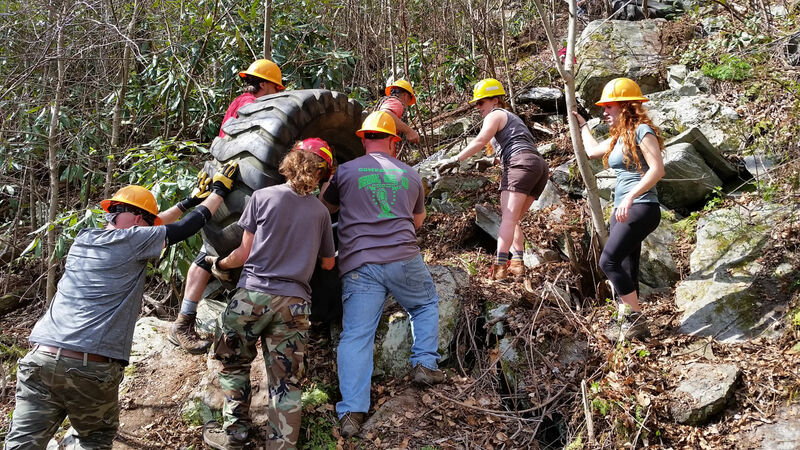 So volunteers used ropes, determination, and teamwork to get the job done. Step 4 – Tire Rescue! 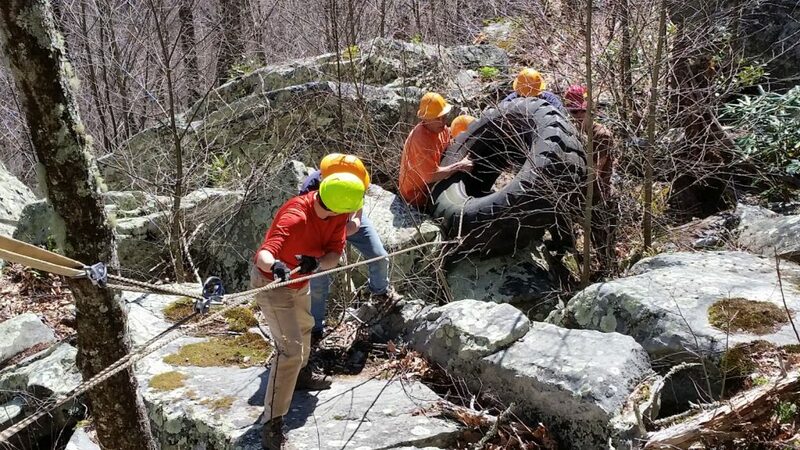 On May 13th local volunteer rescue squads and fire departments used the cleanup effort as a training exercise, rapelling down the cliff face to attach ropes to the tires, then hauling them up straight up to the top!